Getting set up with your very own online micro-business is a great side hustle, whatever your day job. It will provide extra income and give you a taste of entrepreneurship in the online world of commerce. Micro-businesses may not yield a huge amount of capital, but it is a great way for entrepreneurs to gain valuable insight in running their own business, and it will help you build a name for yourself. Ecommerce is a booming industry that is continually growing and offering opportunities to entrepreneurs and established businesses alike. Getting started online doesn’t have to cost the earth. Find out what you need to set up your own profitable online micro-business on a shoestring budget. Discover your niche: what products will you sell? At the root of all successful companies there is a good business idea, one that is unique and in-demand. As many ecommerce veterans will tell you, finding a product that you’re passionate about is simply not enough to run a great online store. There are a few other things you need to be aware of before you find the right product or service to offer customers. A niche product or service that you are passionate about will shine through to your customers and help build a trustworthy reputation. But if there is already fierce competition than customers will not be able to find your site. Equally, if you decide upon a niche product that nobody is in search of, then you will find it hard to convert. The secret? To find the middle ground and search for a gap in the market, where competition is low and customer demand is high. That way, your business will flourish and customers will flock to your new site. Minimize spending by sourcing your products on bulk websites like Alibaba to get cheapest prices. Or significantly reduce inventory and capital investment risk by using a reputable dropshipping company, so you never have to handle stock. 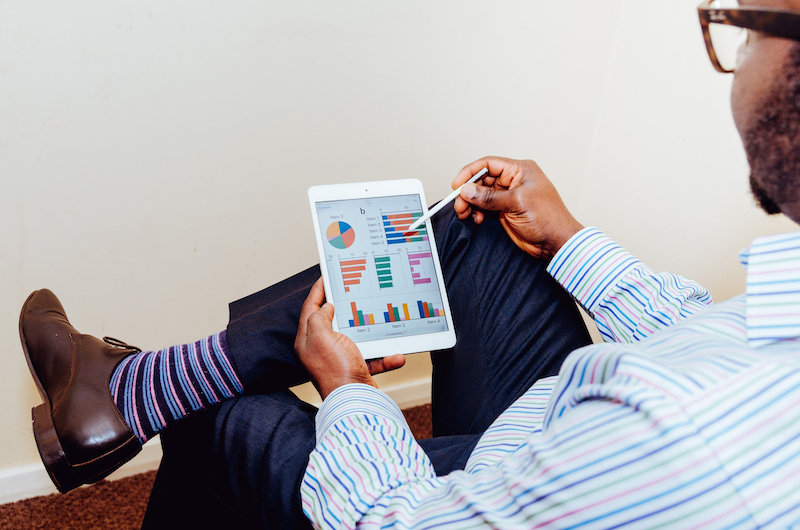 Finding the right online platform is crucial for your micro-business. You want your online store to look sleek and professional from the get-go to increase brand trust amongst customers. In order to make money online you will need to invest in a quality website that will represent your brand, one with great UX (user experience) and customers that convert. But don’t fret – there are lots of options out there for those on a shoestring budget. 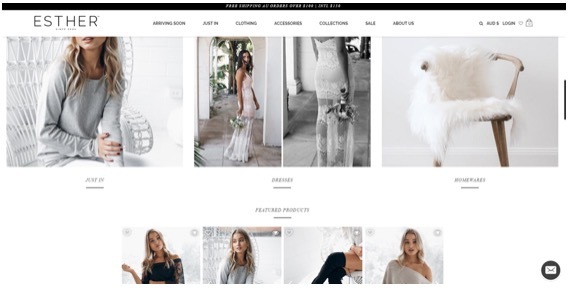 Take a look at Esther for example, with their stunning and professional website using the online store builder, Shopify. Websites like this that are clean, logically laid out and visually appealing will gain loyal customers that keep coming back. A subscription-based online store like this means you get access to premium website design at a relatively low monthly fee. For those that want a bit more control there are popular ecommerce options like WooCommerce that offers professional looking websites suitable for ecommerce. It doesn’t just stop with your own online store, you can also sell straight through social profiles, platforms like Etsy and Depop, to reach a wider audience. Content is an ecommerce merchant’s best friend because this is your sales pitch. It’s your chance to add value to customers and turn them to sales. Product descriptions, blog posts, how-to guides and landing pages create useful, linkable content for customers to like and share through other platforms which helps to get your name out there. Writing impressive content doesn’t have to be expensive and you don’t have to hire a content team to work on your site. The beauty of your online store means you can curate content yourself in the comfort of your own home. This is a great strategy for smaller companies and startups to keep precious costs to a minimum. Chances are, your new micro-business venture is your side hustle and one you work on alongside your current job. Because you’re working another job your side hustle probably isn’t getting as much attention as you would like. But if you spend time thinking about anything, spend time planning and building your brand and reputation. This is your customer’s first impression of your company and it needs to be great. Building your brand and reputation online doesn’t financially cost you anything, except perhaps time. Think about the values of your company. What do you stand for? What is your unique selling point and how will you communicate this to customers? If you want to grow your micro-business online then you need to do more then schedule a few tweets and hope for the best. You are going to have to get your voice out there without spending the earth on expensive marketing techniques. There are lots of ways to leverage your skills to make a buzz around your brand and get people talking. If you are fairly new to marketing then read these three keys to internet marketing success. Starting your own online micro-business on a shoestring budget seems like an impossible task, but with careful planning and dedication it is more than achievable. Make sure to offer unique value to customers and they will keep coming back for more. What micro-business idea will you get started? Guest article written by: Patrick Foster is an ecommerce entrepreneur, coach and writer, sharing ideas on his own blog EcommerceTips.org. On his blog, Patrick shares engaging ecommerce content for entrepreneurs and business owners alike. Next post: Unable to unlock my Yahoo account!! Get it done!